The Be At One Bartender Challenge is the jewel in the crown of our bartenders world. Launching in 2011, this is a competition to find the best and brightest within our company through four rounds of heats to gain the titles at the final. 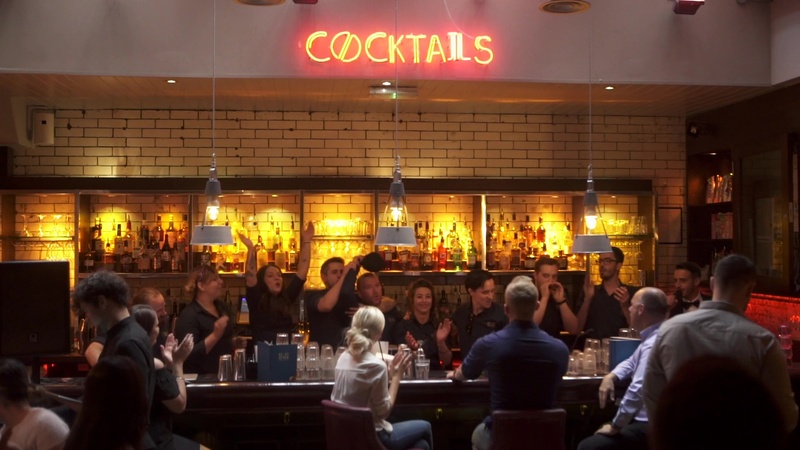 From Best Free Pourer, Best Newcomer to the coveted Best Bartender award, it’s a way to give all of our team the opportunity to showcase their skills with their colleagues. 2018 saw Dave from Birmingham crowned the winner in Monument Be At One, and boy, did we throw a party to celebrate! Well done Dave! Our All Store Party is the party of all parties for Be At One staff nationwide. It’s the only day of the year (apart from Christmas Day) where we close all our bars for the night, giving everyone the opportunity to attend, and to have all our #BeAtFam from all across the UK, under one roof. 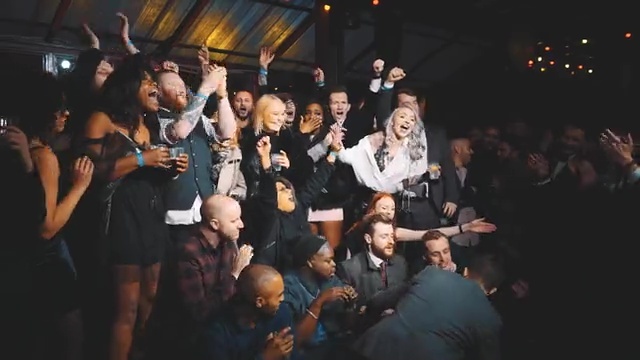 Our 2018 party was a night not to be forgotten, taking over Street Feast in London our team descended down to enjoy a night of drinks, food and a surprise private set from Chase & Status. In our fast-paced world, working nine to five may be a thing of the past. A recent study by YouGov found that only 6% of Brits now work those traditional hours, with many people opting instead to be more flexible with the time they commit to their job. In fact, over three million people in the UK are now working through the night, accounting for one in every nine workers in the country. This represents a massive increase of 151,000 night-shift workers since 2013, and the swelling numbers are hardly a surprise. Of course, there’s the usual demand of overnight medical workers and staff behind the bars on a Friday evening, but with more companies doing business across different counties and growing demand for shops and food outlets to stay open 24-hours, there is plenty of work available for those night owls amongst us. Whether you’re working in retail, nightlife or telesales though, going from daytime work to evening shifts is quite a big adjustment. Here are a few tips to help you make that transition go as smoothly as possible. Obviously, going from sleeping on the night to working requires a big change and plenty of organisation if you don’t want to be sleepwalking through life like a zombie. You’ll have to basically override your body clock – after all, humans are designed to sleep through the night. Crucially, to change these natural cycles and stay alert through your shift, you’ll need to ensure that you are not accruing a sleep debt. In order to do this, make sure you are getting between seven to nine hours sleep after your shift. Create a comfortable environment and don’t delay going to bed, especially not by doing stimulating activities such as playing games or watching TV. If you are feeling tired before you start your shift, then a short nap (ideally no longer than 45 minutes) can help you feel refreshed and ready for the work ahead. Your sleeping patterns are not the only thing that can get thrown off balance by working nights. Diet can also be impacted, with research showing that 29% of night shift workers are at an increased risk of obesity. This is due to your metabolism not being able to follow its typical daily rhythm. Meals will, therefore, require a little extra planning. Make sure you have plenty of shopping in, as stores can often be closed by the time you clock off – supermarket delivery services can be particularly helpful here. Make up meals that are easy to digest, such as breads, pasta and vegetables, while avoiding those that aren’t, like fried and spicy snacks. Eat these small meals regularly to try and stick to a routine and avoid the drowsy feeling that comes with those big indulgences. When we’re feeling tired and groggy, often our first instinct is to reach for the tea or coffee. However, having a big caffeine kick right before you start work may not be the most effective use. Instead, try having smaller cups of tea or coffee more frequently throughout your shift. Research has shown that this technique can be much more effective in keeping you awake and focused, while reducing drowsiness. If you are using caffeine to help boost your productivity though, make sure that you don’t consume any around six hours before you plan on going to bed, so that it doesn’t affect your sleep. Daylight creeping into your room when you’re trying to sleep isn’t only annoying. It can also affect your body’s chemicals, with cortisol being increased during the morning light to make you feel more alert and melatonin being released when it gets dark to help you drift off. This hormone production is also affected by artificial light. This means you can help shift your sleeping patterns by exposing yourself to bright lights before your night shift and making sure your working area is well illuminated. On the other hand, it’s important to keep your home dark when you’re sleeping through the day. Invest in blackout blinds and have softer, dimmer lights installed in your home for when you return from your shift. It may seem silly, but research has shown that night shift workers who wear sunglasses on their way home also managed to get to sleep quicker. When you’re working at night, it may be harder to have spontaneous meet ups with your friends. However, that doesn’t mean you have to give up on your social life. Simply plan ahead and use the time you have available wisely. For example, if your shift doesn’t start until 8pm, you can always meet up with your friends for a meal – even if it’s breakfast for you and dinner for them. Additionally, you should spend some time getting to know your co-workers. After all, no one will understand your odd working hours better than them. Invite them to join you for casual meetings, such as exercise classes or coffee breaks. This will help you establish a rapport and build a friendship without the need to disrupt your routine. Changing your career - The bar awaits you! Changing your career is a nerve-racking prospect at any age, but especially when you’re a little later on in life. In fact, for many people, that fear will hold them back from ever actually going after their dreams. And while we can’t say that every dream career is necessarily a wise one to follow, most ambitions can be achieved. While there may be certain obstacles to overcome – such as geographical limitations or training requirements – if you’re really determined to change your career path, then it is within your potential. The fact is that most workplaces don’t care about arbitrary things like your date of birth. Successful businesses care only about your ability to do your job well. If you’re willing to work hard then potential employers will recognise you as an asset to their business. Another reason people may feel dissuaded to change career is the idea that they will be so far behind their fellow employees. Yes, it will take time to climb the career ladder but ultimately, it’s your own talents and efforts that will determine how far you go in a new career. And the longer you put it off, the longer it will take for you to get to the top. Ok, so you’ve pushed away all that negativity and paranoia about starting a new career, now it comes down to how you can actually make that happen. Well, that depends on the individual career itself. Few career paths are the same. They may require new education or training, you may need to take on some work experience before you get started and of course, the application process varies drastically. As we can’t say what it is you will be doing specifically, here’s some more general advice that can be applied to many different career changes. We hope you find it helpful. Plenty of people will already have a clear career goal in mind but for others, they may not be sure exactly what they want their new career to be. They may have a rough idea of what type of job they want to do, but don’t have a specific role in mind. Others may not even be sure what sector they want to move into but simply know they want to make a change. If you’re unsure about the specifics, then it’s a good idea to begin by creating a shortlist of career ideas that appeal to you. Find out everything you can about these new careers. You may find that your initial plans change as you discover more about the industry you plan on working in. This should include researching everything from required qualifications to salary. Also, be picky with your research. One of the best ways of finding out about what a career is really like is by asking someone you trust about their experiences. However, this isn’t always possible, so look up as much as you can online to get a feel for what different jobs require. We’ve discussed why starting a new career at any age can be a perfectly sensible and achievable course of action. However, before you commit, it’s important to be realistic about what consequences – both short and long term – this change will have. It may mean less money short term, different working hours, etc. If you still have a shortlist to choose from, now is the time to get serious. Use everything you’ve learned go through all your options and make a mature, adult decision about what is your best path forward. If none appeal, go back to step one and keep looking. The right career for you will be out there. This is vitally important. One thing that will kill your chances of getting your new career off the ground is being unsure about what you want and not properly committing to pursuing this new path. If you’ve followed the steps so far, you should know enough to have made a sensible, realistic and achievable decision for a new career and the only thing holding you back is a lack of commitment and/or effort. Now you have an idea of how to move forward and you’re determined to do so, the next step is both the simplest and the hardest. Set out how you are going to pursue this career, be specific, and then implement that plan. Give yourself some leeway – applications can take longer than you expect, and you need to give yourself time to learn new things – but sticking to your plan is what will make the difference between success and failure.